Tell us about your role and journey into technology. What inspired you to start at Luminoso? I started my career as a release engineer, working on speech technology at Dragon Systems. Since I had studied speech recognition and signal processing at MIT, it was a great introduction to the tech world. Over time, though, I found that my favorite language to program in was “English,” and so I moved over to the dark side of sales and marketing, first as a sales engineer, then a product manager, then in product marketing. When I found out about the opportunity to lead the marketing team at Luminoso, I immediately knew it was a great fit. It was a logical progression from my 22 years working with contact centers, CRM systems, customer experience teams, and language technology with companies such as Dragon, edocs (acquired by Siebel), Nuance, Bullhorn, and Pegasystems. And I’m crazy excited about the technology. We’ve got an elegant solution to a problem that I’ve seen companies attacking for decades, and I wanted to be a part of it. How do your products fit into a modern Enterprise Technology stack? Our core products provide a way to analyze and classify unstructured text data, faster and more accurately than any other method on the market today. The Luminoso Daylight product lets business analysts digest high volumes of constantly arriving customer feedback, like open-ended survey responses, customer complaints, and product reviews. The Luminoso Compass product augments a contact center’s CRM system to better classify unstructured data, such as support tickets, for better routing and automation. Underlying both products is Luminoso’s QuickLearn technology, the natural language science that automatically learns domain-specific terminology in minutes, not months, so teams can provide faster time-to-insights. Why is it important to connect employees with the customer? I don’t know any company that thinks it’s a bad idea to pay attention to their customers.The basis of any go-to-market strategy is identifying what potential customers want, what their pain points are, and how your products and services can align with those needs and issues. Globalization and commoditization give consumers access to more choices for providers, forcing more companies to differentiate themselves based on customer experience. And the key to better customer experience is strengthening that connection to the customer. It’s why more and more companies are appointing Chief Customer Officers and Chief Experience Officers, and why entire customer experience and customer success functions are being created as departments separate from their marketing, sales and support colleagues. Understanding your customer, and eliminating the friction points in their buying journey, translates into lower costs and higher revenue from better products and services, higher share of wallet, lower churn rates, and loyal advocates of your brand. But with the explosion of communication channels in today’s world, and the massive data trails generated by customers, it’s become impossible for most companies to digest all their customer data at scale. There is never any shortage of work for data scientists and business analysts because there’s never any shortage of business intelligence coming from customer data. How does Luminoso improve brand-customer relationship? Supercell, one of the leading mobile video game publishers, regularly reviews submitted help requests to understand what’s trending among customer inquiries. When they release an update, they can quickly spot any newly introduced issues and hotfix them to prevent disappointed customers from churning. The product team at a wealth management company uses Luminoso as part of their release cycle. When they update their online portal every sprint, they solicit customer feedback and analyze it to see how the new UX deployments affected their user ratings. Tell us more about Luminoso Daylight and the recent addition of Score Drivers. Luminoso Daylight was already great for organizations that struggle to keep up with their analysis of unstructured text data, such as customer or employee satisfaction surveys. Score Drivers is such a great new addition to the Luminoso Daylight product because it attacks the vital information hidden in mixed datasets. Mixed datasets contain two types of data: unstructured, qualitative data such as survey verbatims, or product reviews; and structured, quantitative data such as review stars or NPS ratings. Correlating the scores from quantitative data with insights from written text is a manual, time-consuming task. It’s difficult for analysts to provide meaningful insight fast enough for organizations to take any corrective action. Because of this, many organizations don’t frequently take the time to truly analyze mixed datasets; for example, a major hotel chain with more than 54K employee survey responses processes them only once a year. Score Drivers automates the work of finding correlation when analyzing mixed data sets. It quickly finds patterns in qualitative and quantitative feedback so analysts can see how feedback corresponds with key metrics such as satisfaction scores. It shows the impact of concepts within that feedback on those scores, so teams can prioritize what to fix or capitalize on. In the end, it means analyst teams spend less time manually crunching through associating free text with scores, and more time exploring root causes and creating insightful readouts for business leaders. Where do you see AI and Machine Learning technologies improving employee advocacy programs? 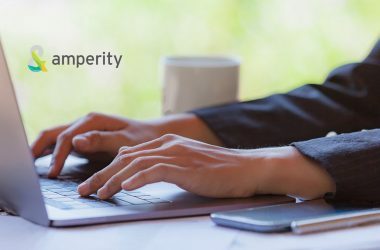 Employee advocacy programs are limited in the same ways that customer experience ones are — capturing the voice of the customer/employee information has been a manual, time-consuming task, and most HR teams must rely on outsourced service providers to collect that data and perform that analysis. Ten-week turn-around times from survey launch to the first high-level conclusions is not uncommon. AI and Machine Learning technologies such as Luminoso’s, augments those teams’ ability to digest that information, so they can get to the good stuff — identifying the most important issues and launching initiatives to tackle them. According to you, which businesses are fastest to adopt Employee Experience platforms? While virtually any large company will benefit from an employee experience initiative, ones in the service industry (e.g. retail, travel and hospitality) tend to adopt employee experience technology faster. They’re the ones that have the closest link between Customer Experience (CX) and Employee Experience (EX), because so many of their employees regularly interact with customers. Right behind them are companies that have analyst resources already embedded within their HR team, so they don’t have to outsource or rely on a centralized BI team. Then they’re willing and eager to tackle the work themselves. What are the technical challenges that you face in the adoption and deployment of AI and NLP capabilities at an enterprise level? Many enterprise analyst teams are already well-versed in using AI and Machine Learning to analyze structured data. If you’re an analyst swimming in well-defined customer data—demographic information, web click paths, store inventory reports, cart abandonment rates—you can already set up a model to show data correlations, test hypotheses, and make testable predictions. So, analysts think that Natural Language will be a similar process. They move from manually tagging documents themselves to some sort of home-grown Python project to parse keywords, and after a few months find that it’s not so simple because of the complexities of language. They then grab open-source natural language software and spend another few months trying to bend it to their will. What they learn is that the traditional approach to training AI and Machine Learning models requires either millions of data points or months of manual tuning. Once those teams go through that journey, they make great clients for Luminoso. They understand why our approach gets them to the analysis part faster and automates the painful manual tasks they were doing themselves. They’re ready and willing to adopt. Obviously, we’d rather not wait six months for our prospects to learn this on their own—especially since our deployments tend to take only a few days—so we’re doing more to educate the market. But I admit it’s helpful when our clients already get it. Which markets and geographies are you currently catering to? We have established offices in North America and Japan, and EMEA and APAC sales teams based in London and Sydney. We’re seeing traction in DACH. Each region is interested in slightly different use cases for our technology. For example, North America is strong on Customer Experience and Employee Experience use cases; Japan has a growing interest in applying our technology to intelligent automation; Europeans are naturally interested in our multilingual capabilities. Which Marketing and Sales Automation tools and technologies do you currently use in your current roles? Our primary stack is Salesforce and Marketo, and we occasionally invest in other software that play nice with those, such as Cirrus Insight, RingDNA, or SalesLoft. What are your predictions on the most impactful disruptions in AI and Data Management technology on the Mobile Marketing businesses for 2019-2020? I think 2019-2020 will be more about incremental operationalization of AI techniques, rather than game-changing disruptions. There will never be enough data scientists to match the demand for data analysis, so we’ll see more and more “citizen data scientists” pressed into service to cover that gap. And appropriately, software packages will continue to take steps to accommodate the day-to-day questions from those business users. That will take the load off of the data scientists themselves. Boston has an incredible ecosystem of tech startups, and I love following the ones that improve marketing functions, such as Drift and Crayon. I’m rooting for former colleagues at Cogito and Affectiva as well. And for an offbeat one, I was one of the first backers for Hydrow and their Peloton-like rowing machines coming out this summer. The fundamental precepts of marketing don’t change: revenue focus, customer centricity, and data-driven decision-making. AI’s role is to automate the mundane and augment the creative. AI advancements improve how marketers acquire and retain new customers, how we gather and interpret data, and how we stay in tune with our customer’s needs. I always encourage my team to experiment and evaluate. Make small bets on technology that they’re personally excited about, and then double down if they show value. Collaboratively. If we’re bought into the targets, we’ll work better together to hit them. Evernote, Slack and Google collaboration tools. And I probably think in Powerpoint. I love the “Getting Things Done” methodology, and I’ve adopted an electronic variant of it called “The Secret Weapon” that combines it with Evernote. I’m reading “Design Your Life” by Bill Burnett and Dave Evans, which is a broader look at not getting stuck in one’s career planning. I really enjoy books that establish principles about how humans work and think by citing primary research and evidence, then give anecdotes, frameworks, or other tools to make the lessons more concrete. Other favorite examples include “The Advantage” by Patrick Lencioni; “Thinking Fast and Slow” by Daniel Kahneman; “Made to Stick and Switch” by Chip and Dan Heath; “Change the Culture, Change the Game and The Oz Principle” by Roger Conners; and “Pre-suasion” by Robert Cialdini. It came from a class called “Writing to Get Things Done” run by the Berry Writing Group. When writing, start with your requested action first. Then give background, organized into sections if necessary. Then close with a call to action and deadline. As students, we learn this backward and so many emails out there are rambling, ineffective stream-of-consciousness thoughts that the author escapes with “Let me know if you have any questions.” When we should be answering our audience’s questions: what, so what, now what. Presenting. Most people have an innate fear of public speaking, but I enjoy it. I’m good for an improvised speech any time. I turn boring panel discussions into interesting conversations. And give me enough time, and I can script a killer keynote speech. Andrew Hally, CMO at Allego. 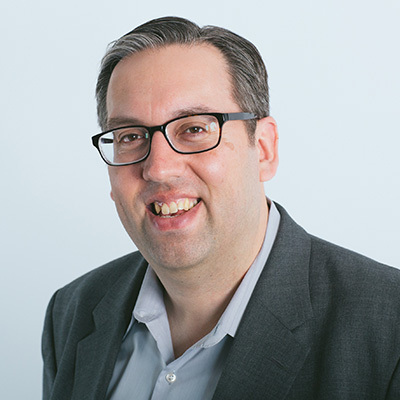 Steve Kraus, VP of Marketing at Cogito. Thank you, Jeff! Hope to see you back on MarTech Series soon. 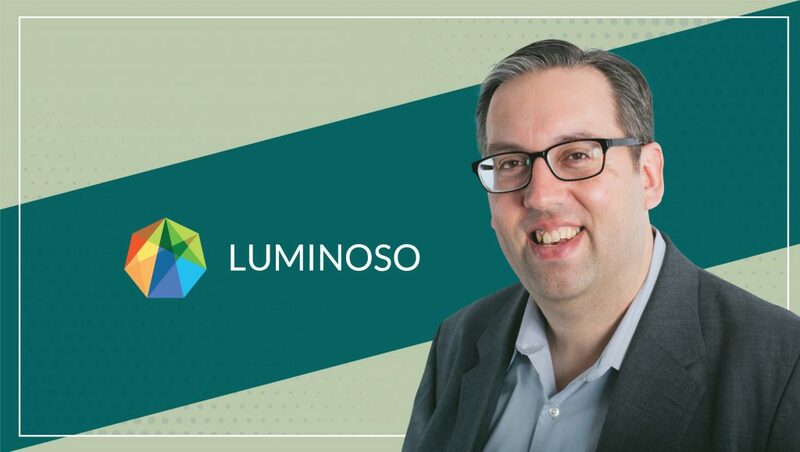 VP of Marketing at Luminoso Technologies, Jeff Foley’s career spans 22 years of aligning hi-tech marketing, sales, and product organizations around new technologies, to deliver software that his customers love to use. He helps enterprise and SMB software companies as they grow from a tribe to a village and need to up their marketing game. He specializes in establishing process and rigor to make one-off tasks repeatable and scalable. Luminoso Technologies is a leading Artificial Intelligence and Natural Language Understanding company that enables companies to rapidly discover insights in their unstructured data. Luminoso’s award-winning software applies AI to accurately analyze text-based data, for any industry, without lengthy setup time or training. Luminoso can analyze unstructured data natively in 14 languages, including Chinese, Korean, Japanese, and Arabic.